There is a time for serious discussions. This is not one of them. Instead it is a light hearted, irreverent and humorous look at massage. Let’s apply a broader perspective to those serious questions. It’s called human nature, and it’s full of variety and differences, and there is no one right way enshrined in it. We alI have our opinions about what’s right and what’s wrong, what should be, and what’s the correct way of doing something. But before we get into a discussion about what is right or wrong, let’s step back and look at all this from a more neutral perspective. Let’s take religion as an example. Some people become saints, some become fanatics, some just pay lip service to it, and some exploit it for personal power and gain. What about martial arts? Some people become the “saints” of martial arts like the Chinese Shaolin monks who practice their Kung Fu as a spiritual discipline. Some people become show wrestlers, some learn martial arts so that they can beat up others, and others practice it just to get some exercise. What about yoga and massage? 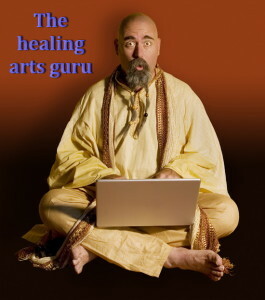 Some people become the “saints” of healing arts. They defend traditions, purity, teacher lineage and holistic principles. 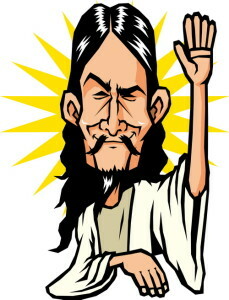 Some teachers become “gurus”, accumulate adoring followers, and in their eyes they can do no wrong. Others practice yoga to lose weight, learn massage because you can make 70 bucks an hour or because massage is an easy job to get, like here in Thailand where I live. There is a fine line between being the “saint” of a particular system and self righteousness or judgmental attitudes towards those who are below the sainthood status. One of the most difficult tasks about being a “saint” is to keep one’s ego in check. Once you get good at something, be it yoga, massage, philosophy or martial arts, one of the hardest things is to not equate your skills with moral superiority or a “better than them” attitude. Yoga – while it may not be the highest purpose of yoga, there is really nothing wrong about practicing it just to lose some weight. The practice of yoga is not restricted to those who want to attain self realization and get on the fast track to nirvana. Massage business – while it may not be an expression of selfless healing, there is nothing essentially wrong with opening a chain of massage stores. Prayer – while it may not be on the highest spiritual level, praying for a raise in your job sure beats robbing a bank by a long shot. Sainthood – not everyone is cut out to be a saint. We all have to start somewhere, and few of us start at the sainthood level. Human nature allows for expression on a scale from 1 to infinity. Somehow all those expressions are there for a reason. They create the variety in life that makes it interesting and challenging. There is a saying: “If we would all be the same, it would only take one of us”. Moral: Don’t expect people to be and think like you. So next time you see someone who is practicing yoga or massage for a less traditional, pure, or holistic reason, remember human nature. If you see a glossy photo on a magazine cover with an impossibly perfect yogini twisted into an exotic pretzel position of yoga or Thai Massage, don’t worry. You will get there in one of your next incarnations. Which massage teacher is better or the best? I live in Chiang Mai, Thailand, which is kind of the center of the universe for Thai Massage. The city is always buzzing with lively conversations and arguments which teacher and which style is better. Some people are heavily opinionated about those things. I removed myself from those discussions a long time ago. I have learned that right and wrong are mostly just opinions. They are all relative. The ideal massage teacher for you might not do anything for me. The massage style that I love might not be suited for your needs. Isn’t human nature great? There is room for saints and sinners, yoga gurus, massage fanatics, your opinion and my opinion, the ‘right’ way and the ‘wrong’ way. How serious do we have to be? I know there are problems in the world, and there are serious issues to be dealt with. People can get hurt in yoga or Thai Massage; there are bad teachers and ego driven types out there; you might get run over by a Mack truck. The world will come to an end in 2018 (or whatever prophesy you subscribe to). And if that doesn’t happen, the aliens might invade our planet. You can focus on all that, but sometimes it feels a lot better to look at the light side of life and not take everything so seriously. Why do angels fly? Because they take themselves lightly! How about some massage humor or yoga jokes? 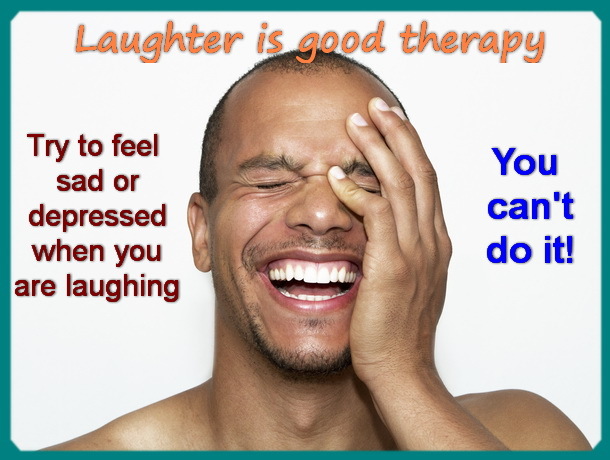 Some good laughter might be just as healing as a yoga or massage session. Yes, really! 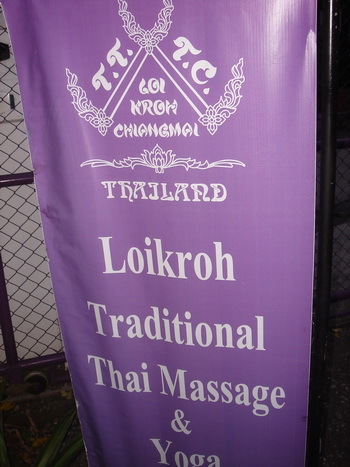 There are those types who insist that Thai Massage has to be practised on the highest level. You are supposed to know every single energy line by it’s impossible to pronounce Pali (similar to Sanskrit) name, and what exactly its esoteric function is. Then you are supposed to know the entire traditional medical system of Thailand with boat loads of theory and lofty concepts. And of course you have to belong to a bunch of “authorized” associations, have studied in the right “lineage”, be an outright saint and dutifully polish your halo every day. From such a lofty and glorious position of “purity” it is often so easy to look down on the vast majority of therapists who don’t have all those accomplishments. Here in Thailand your typical Thai Massage therapist is a simple person who has little to no theoretical education. They have learned from experience and many can do a great job. They are not tangled up in mental obstacle courses like many of their western counterparts. God forbid, if you don’t know what the “intercondylar eminence on the tibial plateau” is. Your entire massage is useless! What – you are saying that you can feel things and you have good intuition where to place your hands? You must be one of those new age freaks! How do you know if your intuition is right, anyway? You mean you don’t know the precise percentage of the increase of serotonin and dopamine during and after your sessions? And the relationship between the two? Your massage could not be any good! You need to get in the habit of letting those white coated scientists who have never done a massage in their life decide what exactly massage is good for. Do your clients “claim” to be relaxed after your massage? Be careful here! Recent scientific double blind test tube studies have determined that relaxation is a medical condition which only real physicians can induce via certain medications. So if your clients “claim” to be relaxed, you can politely nod, but you should not agree. Otherwise you could get sued for wrongfully practicing medicine. Some therapists think that massage is a very serious subject matter. To joke about it or poke fun at it is heresy. Let me tell you, my wife and I are both veteran massage practitioners and teachers. One of my all time favorite physicians is Dr. Bernie Siegel who is one of the funniest guys I have ever met. He gets his patients to laugh and cry and feel. For some great reading, check out his books. Then there is Norman Cousins who cured himself from cancer with laughter. He documented it in his book Anatomy Of An Illness. If you take yourself lightly and laugh about yourself, you might just be healthier, live longer, be happier, and you might be a lot more fun to be around. I verified this conclusion via some special test tube scientific double dotted placebo experiments. No really, I just made it up. But I do believe it. The author, Shama Kern, has been practicing and teaching Thai Massage for 16 years. 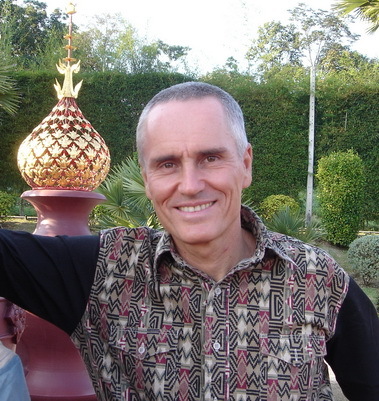 He is the founder and director of Thai Healing Massage Academy and the creator of 20 online Thai Massage video training courses. I was still disturbed when I found in this thai arts us association (no name ) i wanted to be member for …infos ..promotion whatever, to find that massage was thai yoga and was told that thai yoga (ruesi dat ton ) was hatha yoga SIC!!!!! 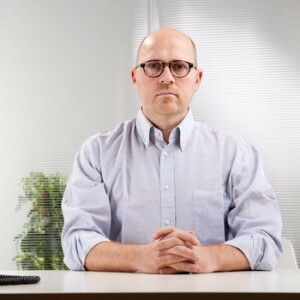 I quite agree with you, if one takes something too serious, he might take himself, who practices it, too serious and start looking down at people. That happens to many yoga teachers. There is a good recommendation from wise guru that from time to time a yoga lesson should be attended by some other respected yoga teacher who would afterwards share a meal with his colleague and laugh at his mistakes made during the lesson. Yes, it is healthy to be able to laugh about ourselves. To take oneself and one’s opinions too seriously encourages our egos to take over. Thanks Shama, for yet another enjoyable article! Great article! Wow! 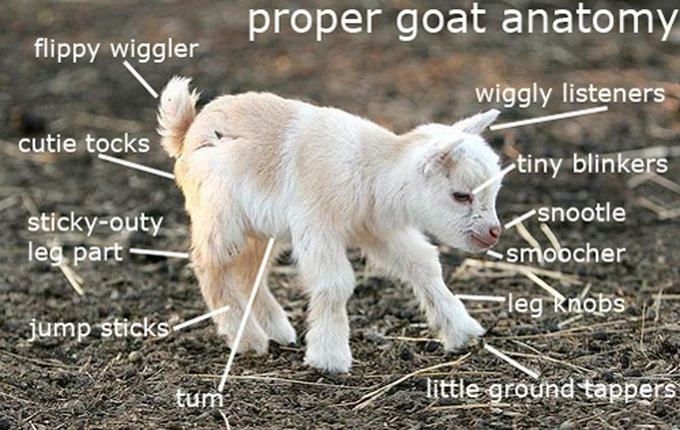 I laughed several times reading it! I enjoy your sense of humor! I love the realistic attitudes! How Are Thai Massage Sen Lines Different From Meridians?